SeenThroughGlass Ep. 20 – Corvette Z06: a Letdown? The Corvette Z06. A Letdown? The Corvette Z06. The quintessential American super car. Supermodel looks and top marks for crowd appeal. Superb handling. A sublime soundtrack that reverberates its quad exhaust so violently that it threatens avalanches and rock-slides when driving near mountains. A 6.2L V8 engine that blasts the beast from 0-60 mph (0-100 kph) in 3.1 second. And it has that special power to put a smile on the driver’s face. Who could possibly turn all of this down? As Sam drives the Z06, a load of undesirable characteristics present themselves. Loud, clicking paddles that are “embarrassing” in their cheap feel and sound “ruin the whole experience.” Moreover, the gearbox is slow compared to the competition. And, there’s the unforgivable engine overheating. Are the drawbacks deal-breakers? 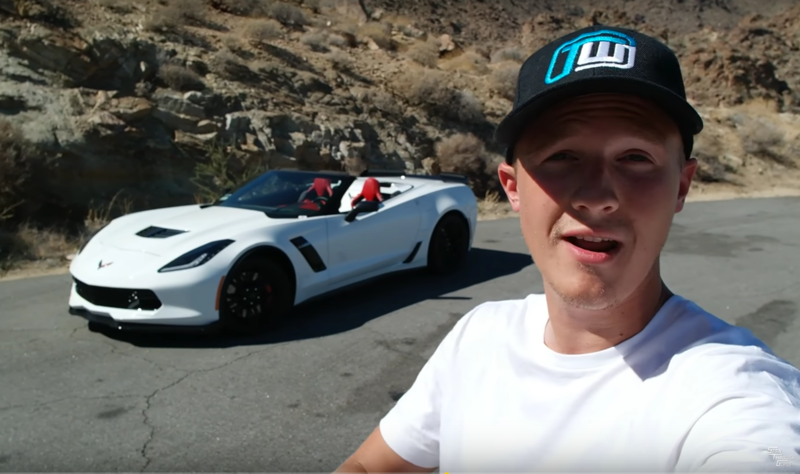 Would Sam still pick the Corvette Z06 over its competitors? Spoiler alert: yes they are and no he wouldn’t.